Shop an amazing breadth of handcrafted, locally made goods from 30+ Artisans during the Glen Arbor Holiday Marketplace. Saturday, November 24th 2018 from 10am – 3:30pm at the Glen Arbor Township Hall. Also featuring a variety of beautiful Holiday Greenery for sale!!! 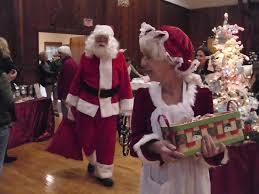 Meet Santa & Mrs. Claus from 11am-1:30pm. They will be at the Glen Arbor Holiday Market with some little toys and goodies! Bring the kids and your own camera for some great photo opportunities and fun. • M22 Glen Arbor, • Northwoods Home & Gift and • Art’s Tavern Annex. This Saturday is also the national #shopsmall Saturday, presented by American Express. Enjoy the benefits of local shops and restaurants that participate! These annual community event features a variety of artisans showcasing different types of gifts/work, with an emphasis on local and handmade products/artworks. This is a great opportunity to support your local artisans and shop for yourself and for the holidays! There’s different artisans at both markets and plenty of time in the day for you, your friends and family to drive and shop both markets! • Artisans…SET-UP: Friday 3-7 PM (there will be NO quick set up this year). • Friday Nov. 28th: After the annual Glen Arbor Tree lighting and carols, All booths will be set up and ready for holiday “business” by 7 PM, Friday evening. Products may be for sale Friday evening at the Holiday Marketplace preview party! • Saturday Nov. 29th: Marketplace doors open at 10:00 AM and will close at 4:00 PM. • Meet Santa & Mrs. Santa Claus!!! They will be at the Glen Arbor Holiday Marketplace from 10:30 to 3:00 with some little toys and goodies! Bring the kids and your camera for some great fun and photo opps! • Refreshments/ lunch by Riverfront Deli, will be for sale during the Glen Arbor Market. • Following the Market, will be a Tree Lighting Ceremony in the Village of Empire! It’s here again! A Glen Arbor original, “better than a bustling city’s Black Friday,” our version of the day-after-Thanksgiving shopping, is the annual PJ party! View full event details and participating retailers here. Friday Morning November, 28th 2014 from 5am – 8am. 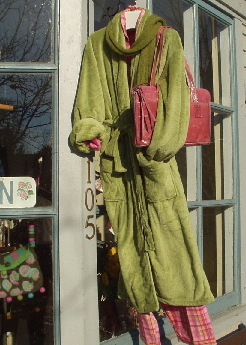 Shop the downtown district stores in your PJ’s for extra special discounts and fun! Come Shop, Dine and Stay in the Naturally Beautiful Glen Lake area! Later that day, join the community Friday evening for the annual Tree Lighting ceremony and Caroling at the GA Township Hall at 6:30pm! Then, stay after for the Holiday Marketplace Preview Party: in the Town Hall from 7:00-8:00pm for local artisan gifts and shopping! Shop Small & Local this Weekend! On Friday, November 29th, be sure to get up early and keep your pajamas on for the annual Pajama Party sales! Participating shops will open at 5am and offer the best prices of the season through 8am. Participating shops include Cherry Republic, M22 Glen Arbor, Art's Tavern, Forest Gallery, Crystal River Outfitters, The Cyclery, Lake Affect, The Sportsman Shop and many more. While the best deals are offered early, many stores will also be offering discounts throughout the day. Beat the crowds and shop local in our beautiful small town! 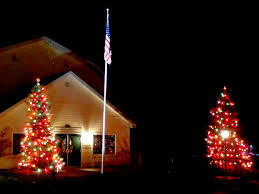 Later on Friday at 7pm, Glen Arbor will also host their tree lighting ceremony at Township Hall. Huddle together with hot drinks and doughnuts provided by Art's Tavern as the beautiful trees in the center of town are lit for the season. 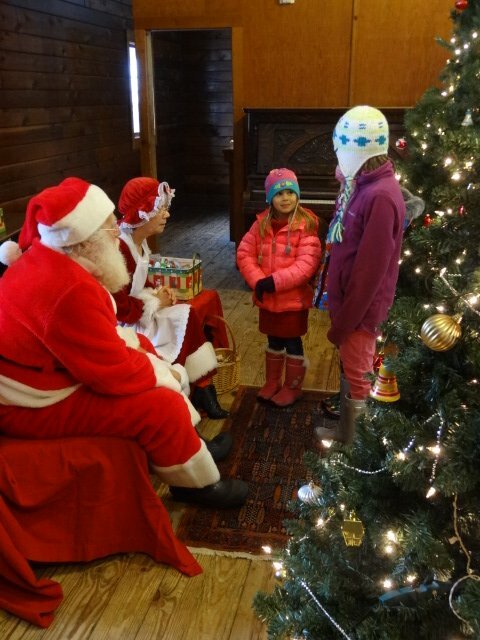 Join in with holiday carolers and experience the peace and beauty of Christmas in Glen Arbor! Looking for unique and locally made gifts? Come to Glen Arbor's Holiday Marketplace on Saturday, November 30th from 10am-4pm. Michigan artisans, craftspeople and merchants will be on hand showcasing one of a kind treasures for everyone on your holiday list. Items are available for any budget! Also be sure to bring the kids, as Santa and Mrs. Claus will be on site at Noon to meet your child and hear their Christmas wish list. Each child will receive their own special gift from Santa to take home! Empire will also be holding their Artisans Marketplace on Saturday from 10am-4pm at their Town Hall, just a short drive from Glen Arbor. These events are a wonderful opportunity to wrap up your shopping list early while supporting local businesses and artists! Shop an amazing breadth of handcrafted, locally made goods from 25+ Artisans during the Glen Arbor Holiday Marketplace. Also featuring Holiday Greenery for sale!!! Meet Santa & Mrs. Claus from 11am – 1:30pm! They will be at the Glen Arbor Holiday Market with some little toys and goodies! Bring the kids and your camera for some great fun and photo opportunities. Glen Arbor’s annual Tree Lighting and Caroling, located outside in front of the Town Hall, off of M-22/Western Ave. in downtown Glen Arbor happens promptly at 6:45pm. The Holiday Market “Preview Party” is located inside the Town Hall immediately following the tree lighting. Mingle, shop and get first picks of all the artisan goods during the Holiday Marketplace preview party, from 7-8pm! No admission fee for any event, and open to the Public. Kick off the weekend Friday morning November 25th 2016 from 5 – 8am, with Glen Arbor’s traditional Annual PJ Party: A wonderfully stylish version of Day-After-Thanksgiving shopping. Shops and Restaurants may each hold their own hours of participation. Check with individuals for opening times. Wander boutique and specialty shops in your PJ’s for extra discounts on clothing, gourmet foods, household decor, Michigan/USA Made products, locally made gifts, Art, Jewelry, Toys and More! Bring your family and friends, grab coffee, baked goods and breakfast or lunch while in Glen Arbor that morning, too. Following, Friday evening is the Tree Lighting and Holiday Market Preview party at the Town Hall. Then, on Saturday #shopsmall in town and get local artisan made goods and gifts at both Empire and Glen Arbor’s Holiday Marketplaces! View, download and print PDF of Participating Merchants flyer & weekend festivities. Tree Lighting, Caroling & Holiday Market preview Party! 6:30 pm Comments Off on Tree Lighting, Caroling & Holiday Market preview Party! Shop 30 vendors providing locally made artisan goods at the Glen Arbor Holiday Marketplace. During the market from 12-2:30pm – Meet Santa & Mrs. Claus! They will be at the Glen Arbor Holiday Marketplace with some little toys and goodies! Bring the kids and your camera for some great fun and photo opportunities. The annual happenings are presented in tandem. Empire showcases nearly 20 artisan vendors including: handcrafted jewelry and tile works, delicious foods and candies, paintings and stunning photographs, designer cards, holiday ornaments and wreaths, beautiful knitwear and hand-made goods. There are different artisans at each market and plenty of time in the day to shop both! This Saturday is also the national #shopsmall Saturday! Presented by American Express. Enjoy the benefits of local shops and restaurants that participate! Every purchase counts! Shop your greater Glen Lake area neighborhood business! Are YOU A SMALL BUSINESS? Go to the Shop Small website as a resource to learn more, get FREE printable signage to use and other ways to market your business for Shop Small Saturday! ALSO HAPPENING TODAY: Glen Arbor and Empire, MI Holiday Artisan Marketplaces!